A big part of what we do at R.S. 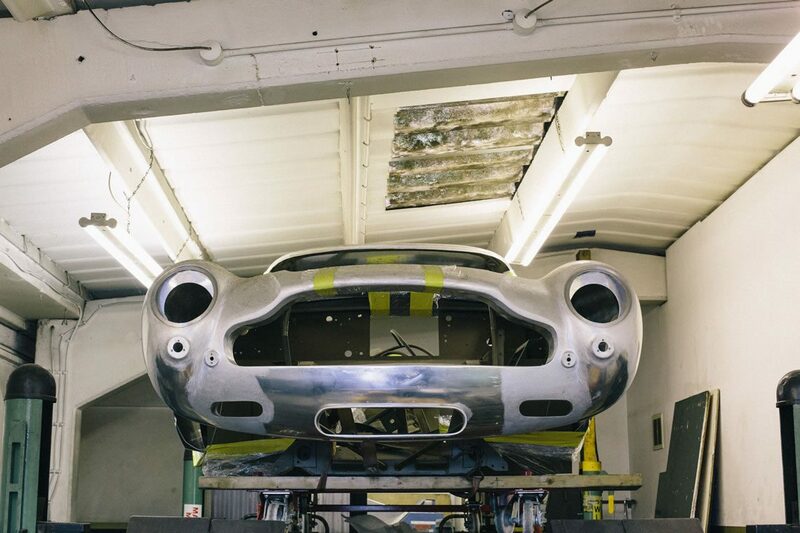 Williams Ltd is enhance classic Aston Martins with discreet, modern improvements and elevate the driver and passenger experience in line with what we have all come to expect from a car in terms of acceptable levels of sound and heat intrusion. Modern sound-proofing, seals, heat insulation, air conditioning, UV protection and a better understanding of occupant comfort allows us the opportunity to enhance your ownership experience without compromising the style and charm of your car. It wasn’t until the 1980s that cars really started to become the cabins of tranquillity one expects of a luxury saloon produced today. 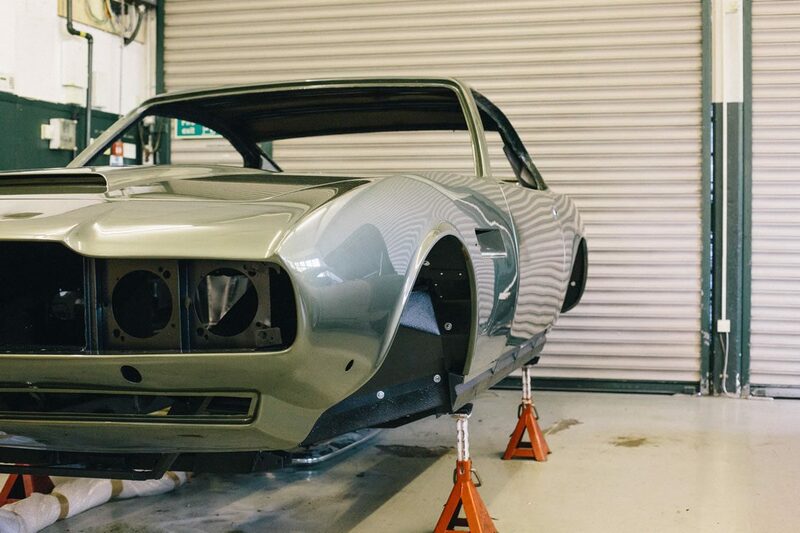 Fortunately, with the advance of technology and expectations, we are able to retro-fit these refinements to any classic Aston Martin. 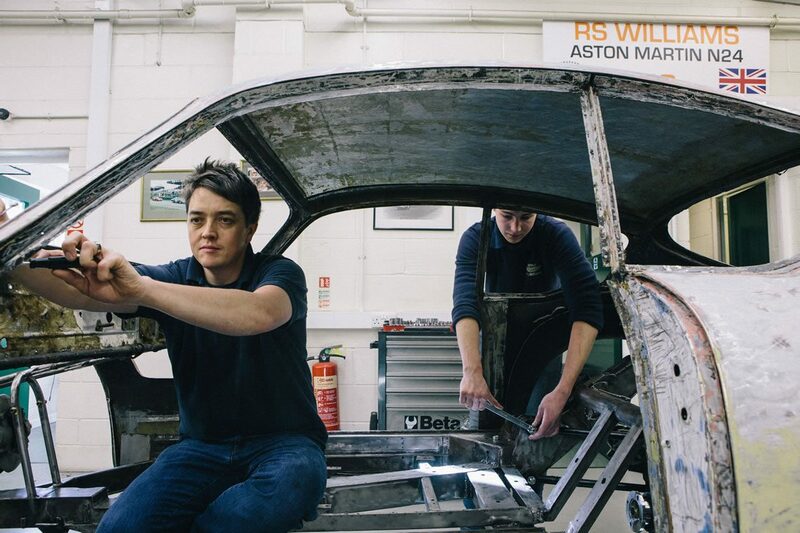 To compare the experience of a standard DB4 as it was when it left the factory in 1959 with that of a car we have prepared leaves little doubt of the benefit of investing in these enhancements. Hot air is often free to find its way from the engine compartment to the cabin which is most unwelcome in the summer months. A massive amount of heat radiates up from the exhaust system and is conducted through the floor, usually on the passenger side, making for uncomfortable trips on warm days. We offer the very latest in heat barrier to put a stop to heat transfer to the passenger. Furthermore, engine and gearbox heat and sound are easily transferred through the fibreglass transmission tunnel causing discomfort and fatigue on long-distance journeys. We have the answers to prevent these issues often associated with older cars and enhance your car to make ownership much more of a pleasure. Our tailored packages and options are completely hidden from view and will be present only in the absence of heat and noise. We also offer a very subtle window film capable of blocking UV light from entering the cabin resulting in a 40% decrease in heat via sunlight through your glass. 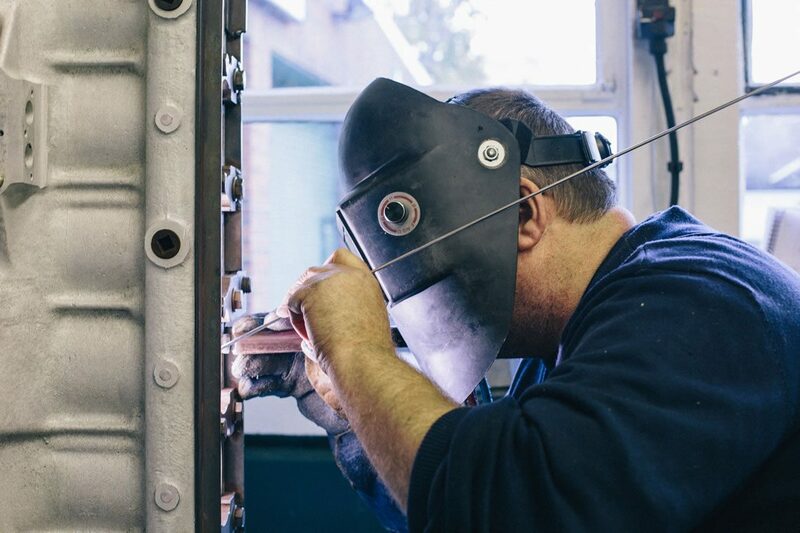 Additionally, our thin heat barrier can be fitted to the headlining of your car, boosting the heat-blocking benefits. The sound a car’s door makes when closing is often cited as the measure of the quality and refinement of that car. We have tirelessly sought-out the most solid, quiet and rattle-free door closure quality we can muster. The result is a real pleasure. You are invited to our workshops to experience this for yourselves! Investment in these areas will distinguish your car from others no end. In 1958, to have a radio in your car was the height of luxury and when the DB4 was launched that year, it was an option available to the owner. Over the last 60 years as wireless sets became radios, then radio cassette players, CD players or head units with CD auto-changers, the driver has come to expect higher levels of sound quality and volume. Today we can offer the absolute latest audio-visual and navigation technology installed discreetly to the very highest standard without spoiling the simplistic style and beauty of your interior. Systems can be hidden completely from view offering you both cosmetic and security benefits. You can have very subtle satellite navigation in your DB5 without the need for sticking a unit to your windscreen. 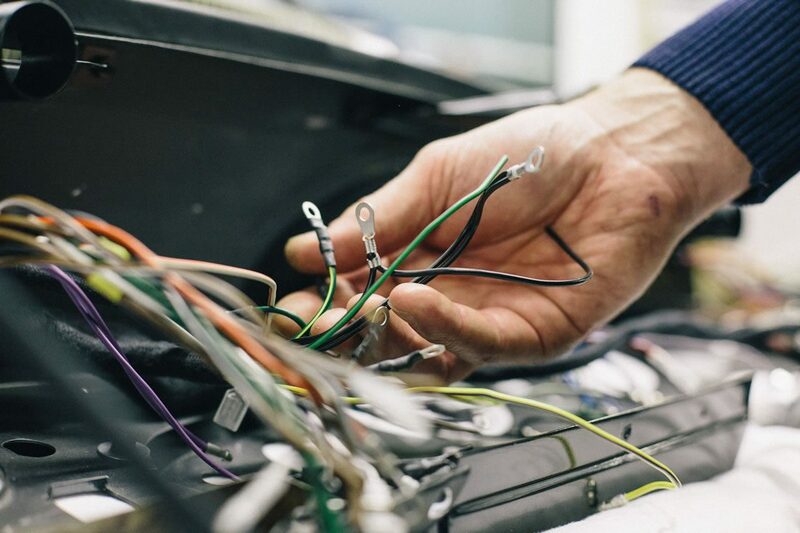 A head unit and speakers fitted in your V8 will be done so at no compromise, causing no harm to your car’s electrical wiring. 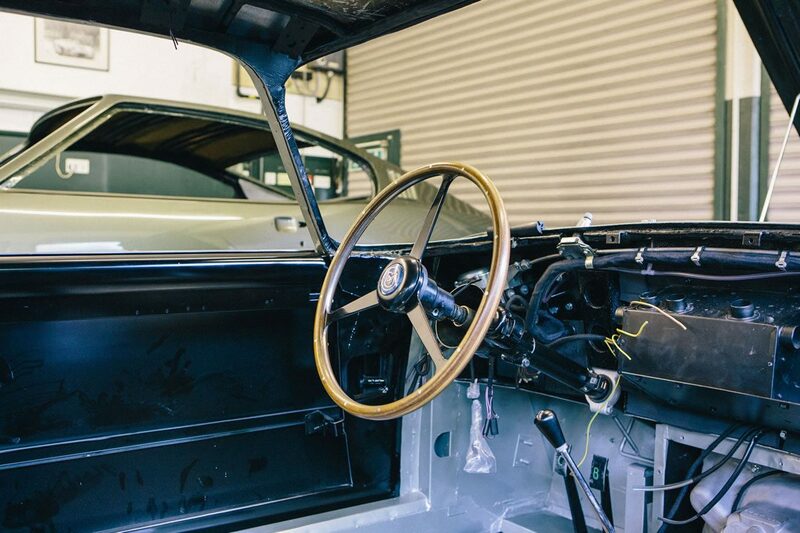 The pictures here show one of our typical discreet installations in a newly-restored DB4. This is a four-speaker system offering superb clarity and impressive volume. The front speakers are hidden well above the kick panels while the rear speakers are concealed behind the rearward parcel shelf panel. Improvements in instrument illumination have been available for some time now and while they do offer a notable improvement, the progress of technology has provided us with the next generation of upgrade. We are pleased to offer a remarkable upgrade to owners of early DB4, all DB5, DB6, DBS and V8 a new level of lighting for each of your gauges. Incorporating low power consumption, highly efficient LED lighting in white, our unique upgrade offers remarkable clarity for dusk and nighttime driving. Just look at the picture for a demonstration between standard illumination and our new upgrade. Provided your car is wired negative earth (most cars are now), this exclusive enhancement, available only from us, will greatly improve instrument display clarity and driver enjoyment. Furthermore, your car will retain its original dimmer switch which, for once, may be required to dim the lights!